OAC used to stand for Open Air Campaigners. They have now changed this to be Outreach and Church Ministries. OAC Ministries are based in Victoria, but have branches in QLD, NSW, WA and SA. They are an evangelical Christian organization that deliver religious school seminars, youth camps, school holiday events, caravan park and beach missions, community outreach and training to SRI volunteers and others involved in childrens ministry. They receive no funding from government and rely on donations from churches, the public and the schools that they give religious presentations to. Some key Victorian staff are Stuart Conkie, Lyall Morris and Alison Gaskell. The Chairman of OAC Victoria is Leon Bell, who is Principal at Thomastown West Primary School and is involved in CRE and beach missions. They all teach at training events that ACCESS Ministries volunteers attend for their accreditation. They are an out and proud evangelical movement who believe it is their duty to bring the word of God to children. It is their life’s work and purpose and this is reflected in their monthly Prayer Notes, which is distributed to supporters. They are not as careful about their image as ACCESS Ministries, probably because they do not receive any support from the government and it is not widely known that they have a close link with public schools. Right now they are enjoying access to school children through the ‘back door’, which they gain from the SRI volunteers. They now have a new website, which is regularly being reworked to make it more “secular” to avoid controversy. 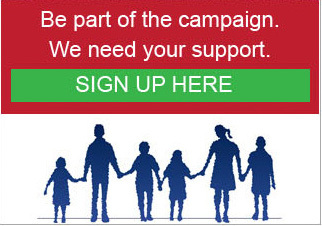 OAC have a very close relationship with SRI volunteers in our public schools. They visit hundreds of primary schools each year to give religious presentations at the invitation of SRI volunteers, usually once a term and sometimes also for Christmas and Easter. Values Seminars for Primary and Secondary schools. There are various topics. It sounds good but they are all based on religious beliefs. For example, in the description about the seminar ‘Respect’ it says “We explore reasons for respecting God as infinite creator and human beings as creatures with inherent value, being made in the image of the creator”. This seminar is for primary school children. CRE Seminars. It says that “These presentations can be used to complement existing CRE programs or as standalone presentations for schools that have no existing CRE teaching”. These seminars also defer from the standard 30 minute SRI classroom lessons and may not be in accordance with the DEECD SRI policy (Victoria). Seminars last for up to 45 minutes and Values seminars last for up to 60 minutes (as stated on their website before info removed) and are conducted in the school hall or gym, with entire grade levels grouped together. Also does not use the approved “Religion in Life” curriculum. They say that they are accredited by Access Ministries but they train Access Ministries volunteers, so this seems confusing and almost as if they accredit themselves. 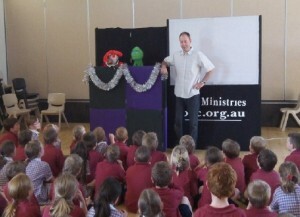 OAC also deliver hundreds of evangelical Christmas presentations around Australia every year. Over the next three days staff will be finalising and practicing the CRE Christmas schools program which will be presented in over 90 schools during the next 5 weeks. This year the teaching theme will be, ‘Jesus the king’. We will be looking at the story of the wise men’s search for Jesus. We will also have the usual puppets, drama, animation, and quizzes to tie it together with lots of fun. November, December and January open up many avenues for ministry. Ask that the Lord would guide, empower and embolden our staff and volunteers as they make use of the many opportunities that the Lord provides to share the Gospel. The primary school Christmas CRE programs begin tomorrow. Pray each day that the children, teachers and parents will hear and understand the Good News. Praise God for our volunteers who are assisting the staff teams, (we often do multiple programs at each school). Pray for all those children, parents and teachers who have heard the Gospel message over the past week. May the Lord water the seeds planted during our programs. Click on the link below to view and download the Prayer Notes for Victoria. This scenario is being repeated all over Australia, including QLD. Click on the link below to view and download the Prayer Notes for QLD.